Very good French meal with nice aperitif and bonne bouche. Nice staff, good menu choices - nothing boring - and good portions. Good value. Would recommend. Beautiful food and presented well. We had set menu but every night was delicious no complaints what so ever. We ate here two nights and I would warmly recommend it. This part of France takes food seriously and they try their best. Then again, I haven't found any place in France that doesn't. Bon appetite! Recommendable, being close to Le Poirou Hotel. 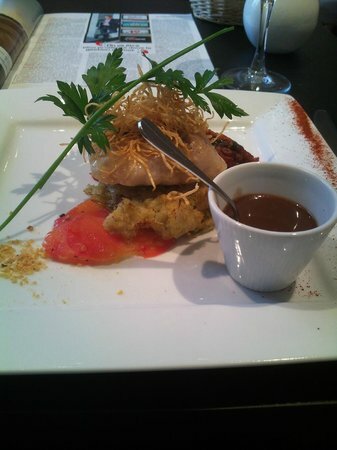 Menus are expensive, according to French standards, but the food quality is good and the service correct. 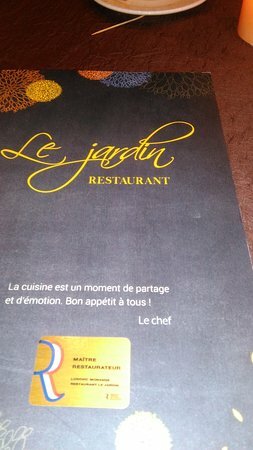 Get quick answers from Restaurant Le Jardin staff and past visitors.